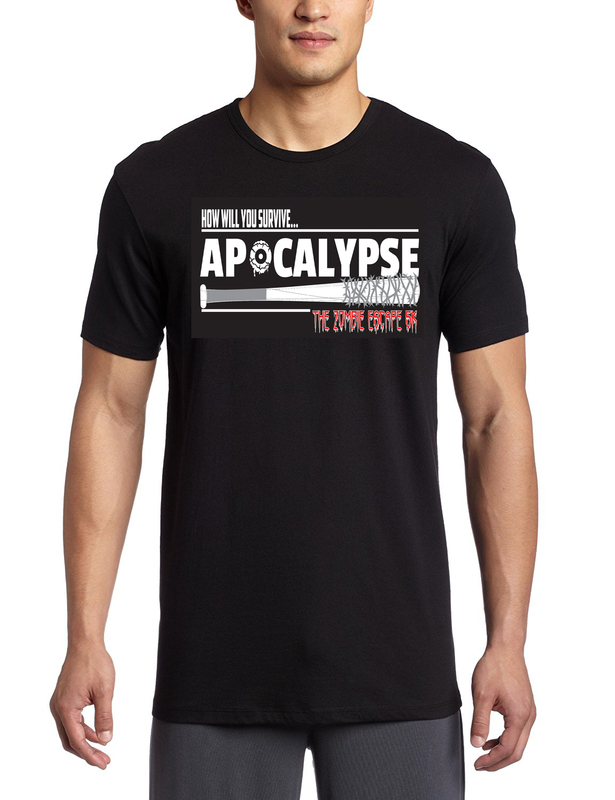 You are not running against the clock, but from blood thirsty, virus infected zombies. All runners will be given a flag belt (just like those used in flag football). The flags represent your "health"
The second part of the course is a 1.5 mile-ish adventure through the "infected zombie zone". Here runners will encounter minor obstacles as they navigate their way through hundreds of zombies. Official Course length may vary from person to person. 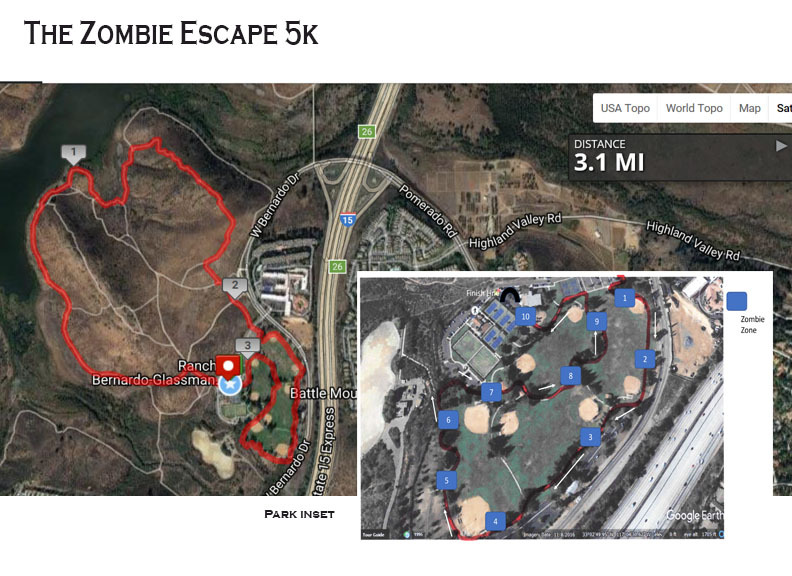 For Example a direct line of running with no zombie encounters may shorten the course to 2.75-2.8 miles (good luck with that), while the more zombies you encounter, may force you to extend your distance as you try and escape them. 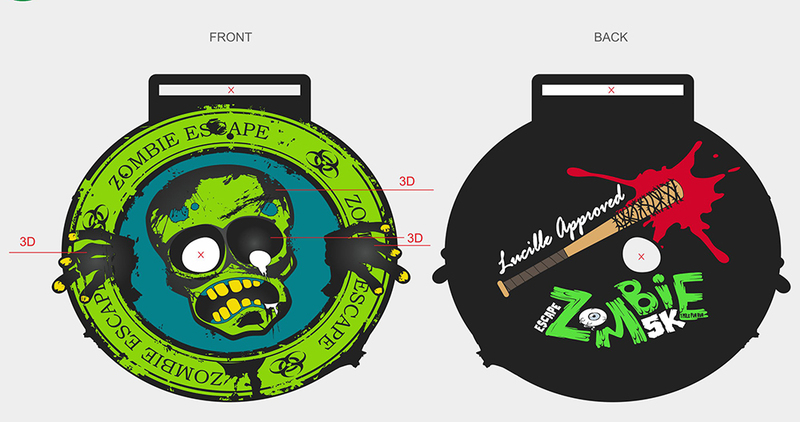 1 Mile Fun Run, will have a 1/4 mile run before runners reach the "infected zombie zone"